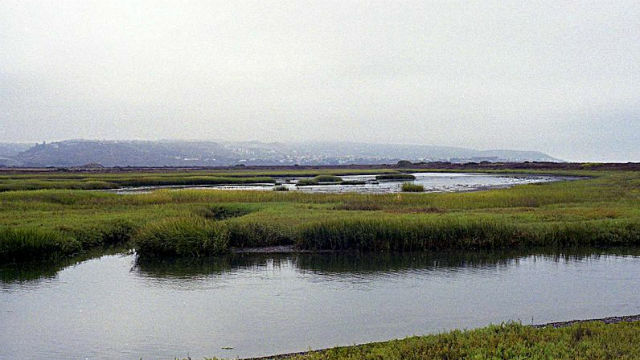 The Tijuana River estuary where sewage spills have been frequent over the past year. Photo via Wikimedia Commons. The Mexican government announced Monday that work will start in 10 days to improve Tijuana’s sewage and wastewater infrastructure along the border. The announcement comes just days after Mexico’s influential foreign secretary, Luis Videgaray, promised to address the problem during a visit to San Diego. Ongoing sewage spills causing beach closures and making people sick in Imperial Beach have prompted lawsuits and demands for action for more than a year. Parra, director of what is known in Mexico as CONAGUA, said that $4.4 million has been earmarked to rehabilitate Tijuana’s west sewage collector and improve the operation of the city’s wastewater treatment plants. “The capacity to handle wastewater will be enhanced and an adequate and secure connection to the plant will be guaranteed,” Parra said. The Mexican federal government’s announcement was relayed by the consulate in San Diego.